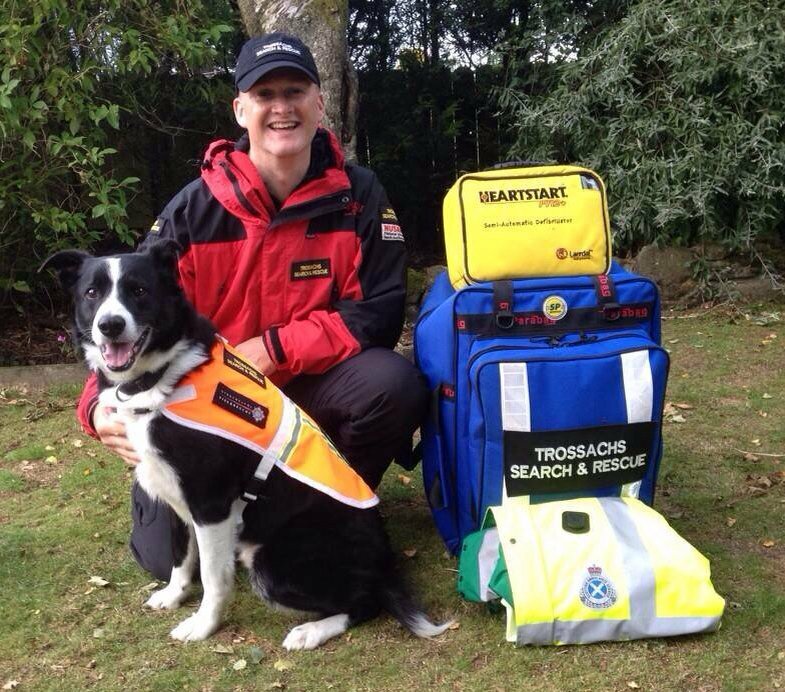 Trossachs Search and Rescue was fromed in 1998 and is a community based charity whose primary area of operation covers the geographical rural expanse from Loch Lomond to Strathyre, Stirling to Balloch. However, we do support the emergency services and communities across Scotland with practical assistance or advice when asked. On behalf of the Scottish Fire and Rescue Service we provide Urban Search and Rescue (USAR) dogs that attend building collapses to search for people concealed under rubble or other debris. 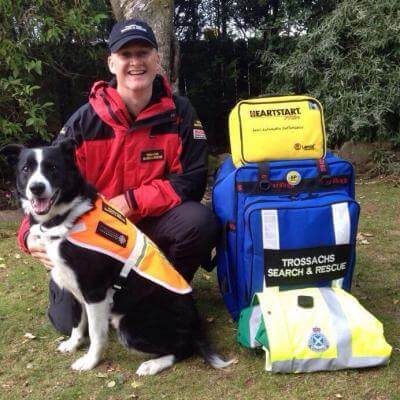 Our USAR dogs were deployed at both the Stockline factory collapse and the Clutha Pub tragedy in Glasgow. They have attended many other building collapses across the central belt of Scotland. Our highly skilled USAR dogs have also been used by the police to search for concealed murder victims and by HM Coastguard in searches for missing persons over rocky coastal terrain and oither difficult environments.